Dr. Abdulla Al-Ajmi is working as Consultant Hematologist/Oncologist in Ibn Al-Nafees Hospital and is qualified with the Board in Internal Medicine and a fellowship of the Royal College of Pathologist (Hematology) of Australia (FRCPA). 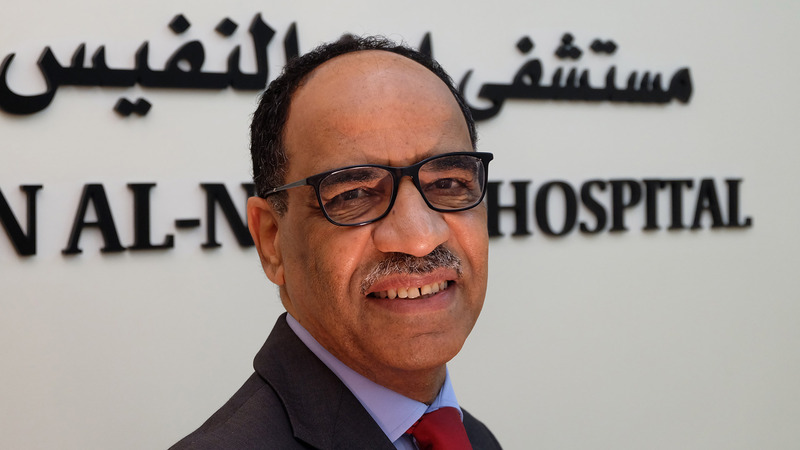 Dr. Abdulla Al-Ajmi is a member of American Society of Hematology (ASH) and European Society of Hematology (EHA), a Board member of Arab Council against Cancer and member of many gulf study groups of different fields of Hematology and Hematological Malignancies. Dr. Abdulla Al-Ajmi worked in Salmanya Medical Complex as a Consultant Hematologist/Oncologist and served as a Chairman of Hematology/Oncology Department.